On November 14, GameGo, a new publisher from Asia, launched their landing page for Global War. In addition to revealing the first images through passage intro, this landing page also takes players participating in World War II through the beautiful interface tinged war. World War II (WWII or WW2), also known as the Second World War, was a global war that lasted from 1939 to 1945, though related conflicts began earlier. It involved the vast majority of the world’s nations—including all of the great powers—eventually forming two opposing military alliances: the Allies and the Nazi. It was the most widespread war in history, and directly involved more than 100 million people from over 30 countries. In a state of “total war”, the major participants threw their entire economic, industrial, and scientific capabilities behind the war effort, erasing the distinction between civilian and military resources. Marked by mass deaths of civilians, including the Holocaust (in which approximately 11 million people were killed) and the strategic bombing of industrial and population centers (in which approximately one million were killed, and which included the atomic bombings of Hiroshima and Nagasaki), it resulted in an estimated 50 million to 85 million fatalities. These made World War II the deadliest conflict in human history. 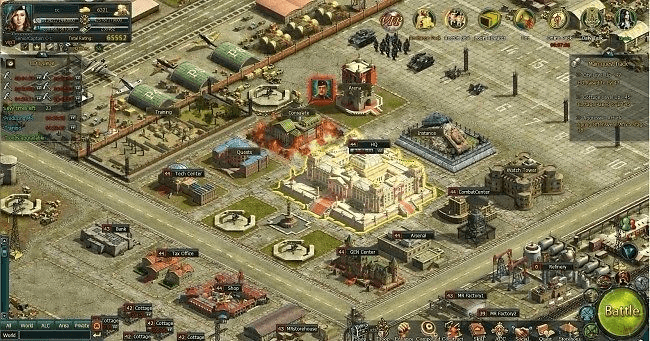 Bringing some color from the legendary Red Alert, Global War is a true reproduction of the most bloody of World War II. 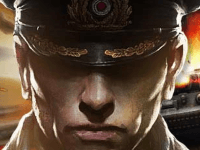 By participating in the game, you will be choosing one of three factions: the Allies, the Nazis, or the Soviets to fight against the other factions, unifying the world in accordance with the historic campaign. Players will start at the same time and then develop along their own paths. Global War recreates the World War II with the hard challenges for gamers and make gamers experience the vivid moments of history, show the military talent of gamers to the world. Like Red Alert, Global War requires high tactical as players must build military bases, combat plans based on army properties, and terrain. At the same time, three factions have distinct advantages per faction: Allied are strong in technology, Nazi are strong with tanks, and powerful artillery in the Soviet Union. Those who have loved Red Alert surely will not ignore Global War. Their landing page offers beautiful design plus clear and detailed information. At first sight, the image of three leaders of the three combat factions in the game has given gamers an interesting imagination. You believe your tactical mind. You believe you will overcome hard campaign in game. You want to live with history or simply find private space for yourself. With an impressive Landing page, Global War is believed that will meet the requirement of gamers. Let’s wait for their stage debut on global game market. We’ve followed up with Global War to see if having any another news and will update consecutively any information we receive.